So I’ve come to a point in my life where I realize that although I’ve called myself a writer for years now, I have not been as an avid reader as I would have liked. So beginning in 2013 I decided to dedicate myself to reading at least two new books a month along with the books I’m reading for my classes. That being said I wanted to invite you to share in my journey. Although this post is obviously a little late my goal for the rest of the year is to create a video at the beginning of the month sharing with you what books I will be reading and then create a recap post of this blog at the end of month letting you know what I thought about the books I read. I would love for you to follow along with me and share your thoughts on the books I’m reading as many people have extremely different opinions on certain reads, as workshop classes have taught me, and I would love to create a conversation with many different views. Hopefully this project will also inspire you to create a habitat of reading. I’m working from the BBC’s top 100 book list that they published a few years ago. Many of the books on that list I have already read and some I haven’t. But the list gives me a plethora of different genres, styles, time periods and authors so that is why I decided to work from that list. There will also be a few books thrown in that are not on the BBC’s list that I’m reading because they were recommended to me or they are class readings or I just wanted to read them. Now you know the back story I hope you will join me on this journey of reading and in turn exploring a whole new world of ideas and styles. Let’s begin with January’s recap, shall we? 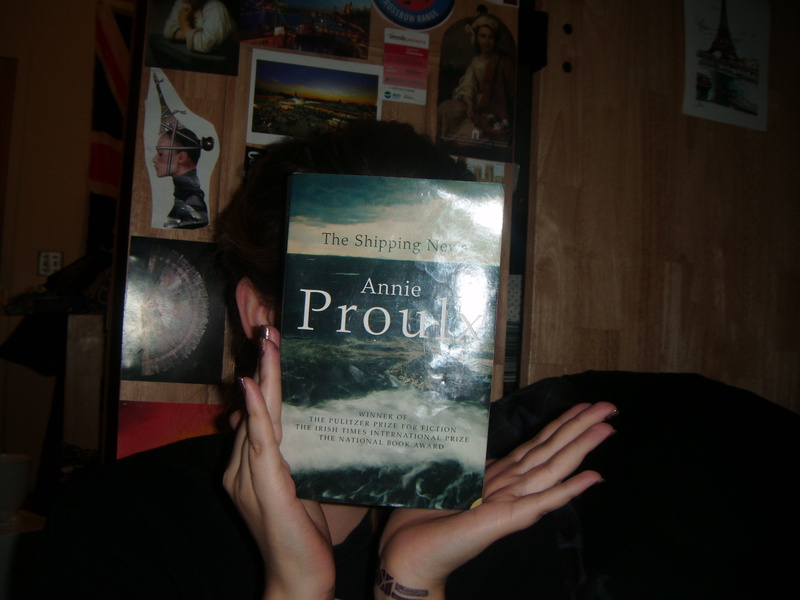 The Shipping news is a novel by American author E. Annie Proulx. The story revolves around Quoyle, his family including his ex-wife and daughters Sunshine and Bunny, his work and his journey to his family home in Newfouland. Its in this home that he discovers his family’s sordid past and fights against the stigma of his own past and the past of the previous Quoyles. Along the way he explores his relationship with love and what that means for his ex Petal (who is a tad crazy), his daughters and his new love Wavey. The book won the Pulitzer Prize and the U.S. National Book Award. The Shipping News is written in what I like to call an abrupt style, as many of the sentences are not completed or grammatically correct, yet somehow it fits the story and Quoyle’s personality. Another interesting feature to the novel are the epigraphs at the beginning of each chapter. They are quotes about Newfouland and descriptions of different knots. The knots all mirror the theme of the chapter in a way which is a clever way of telling the reader what’s about to happen without actually spelling it out. While this book is a little tough to read at first thanks to the unusual sentence structure and the amount of traumatic events that seem to happen within the first few chapters overall it is a compelling story of one man’s journey as he discovers himself and the definition of real love through Wavey, his daughters and the Aunt versus the obsessive love he had with his ex Petal. In my eyes that the real meat of the story as far as The Shipping news is concerned is Quoyle’s relationship with love in all its intricate forms. 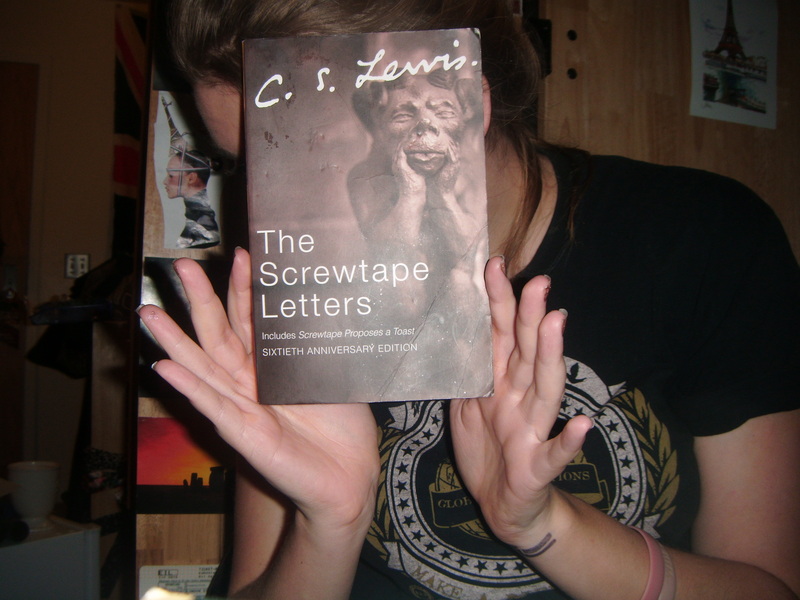 The Screwtape Letters was written by C.S Lewis, who is one of my favourite authors and is written in epistolary style, which means it is written in letters. The letters are written from the senior demon Screwtape to his nephew Wormwood, who is a junior tempter. Throughout the letters Screwtape is mentoring Wormwood on how to secure the damnation of a British man known as his patient. The Screwtape Letters are a wonderful exercise in sarcasm and wit, but more than that the Screwtape Letters probe beyond the initial humour of the narrative to discover what it means to live a Christian life by highlighting the temptations and pitbulls that evade everyday life and how a “patient” can avoid falling for them. Lewis is an exceptional non fiction/spiritual writer and The Screwtape Letters are a fine example of his spiritual intelligence coupled with his vivid imagination (i.e his creation of a demonic hierarchy) that I highly recommend. Its a relative short book, and if you are a Christian, like myself it will be on of those books that resonate with your own spiritual journey, but if you’re not you will still appreciate Lewis’ wit and imagination. So that’s it. The two books I read for January 2013. If you’ve read them please let me know what you think and if not, go on and read them then come back and let me know your thoughts. You can follow my YouTube account to see the new books for the next month.